Our Chairperson & Managing Trustee is the driving force behind the SRI KRISHNA INSTITUTIONS, COIMBATORE that include Engineering, Arts and Science and Polytechnic colleges. She is a multifaceted personality. As a visionary academician and able administrator. 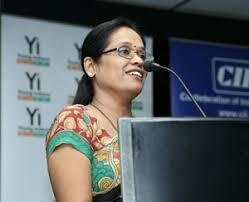 She has developed “SRI KRISHNA INSTITUTIONS” into the most attractive destination for the students especially. And under her adroit leadership, the College has been witnessing a rapid growth in its facilities, significant increase in number of programmes, manifold students strength and many more latest updates that resulted in the overall growth of academic status of the College. Our Managing Trustee has been patronizing sports and games from various positions such as Advisory Committee Member of Sports. Our Chief Executive Officer has 42 years of academic experience in various Institutions. He started his career as Assistant Professor of Commerce and elevated to the position of Head of the Department of Commerce in a leading Autonomous College in Coimbatore. He was also managing all S elf – Financing streams in the College for 17 years. 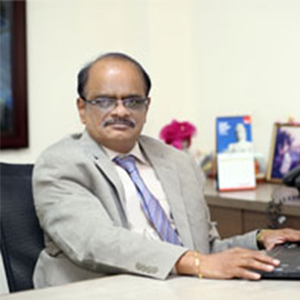 He joined Sri Krishna Arts and Science College as Principal in the year 2005 during his tenure the College achieved many laurels including ISO 2008, accredited by NAAC with 'A' grade and Autonomous status from UGC.He became the Chief Executive Officer of Sri Krishna Institutions in the year 2015. He has published five books. He has also published many research articles in International and National level journals. He is a member of Educational Panel of CII, Coimbatore region. He is also a member of Academic Council of many Autonomous Colleges in Bharathiar University. His expertise include Technology based teaching process, creating E - Learning platform and Outcome Based Education. Our Principal has been in the field of engineering teaching for the past two decades.He has received his Diploma in Mechanical & Rural Engineering. He did his undergraduate B.E. in the field of Mechanical Engineering. He has completed his Post graduation degree M.E. in the area of CAD/CAM Engineering.He has done his Doctor of Philosophy in the field of Welding Technology, Anna University Chennai He is a recognized research supervisor in Anna University Chennai.He has published several papers in international journals and a Reviewer of International Journals.